What Does A “Live” Magazine Mean For Publishing? Pop-Up Magazine, the brainchild of journalist (and Fast Company contributor) Douglas McGray, expands this week by collaborating with ESPN: The Magazine. 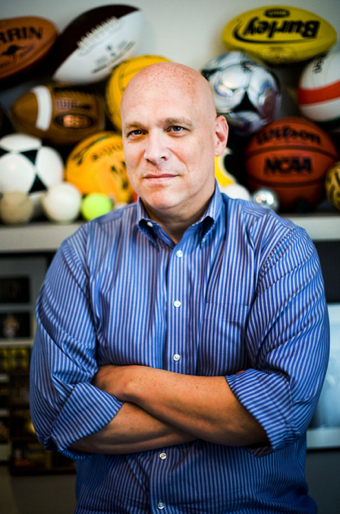 “There’s something involving a dead cat,” ESPN editor Gary Belsky tells us. The idea of the magazine will be reimagined tomorrow night in New York City, with a collaborative event between Pop-Up Magazine and ESPN: The Magazine. Contributors to The New Yorker, This American Life, Wired, Slate, and other publications will get onstage at the Skirball Center for a one-night event, a “magazine” that is performed just once. Less a frantic reaction to the perils of magazine publishing than a clever attempt to re-frame it, the event is a landmark, in different ways, both for Pop-Up and ESPN. But how important is it for the publishing business at large? First, a bit of background. 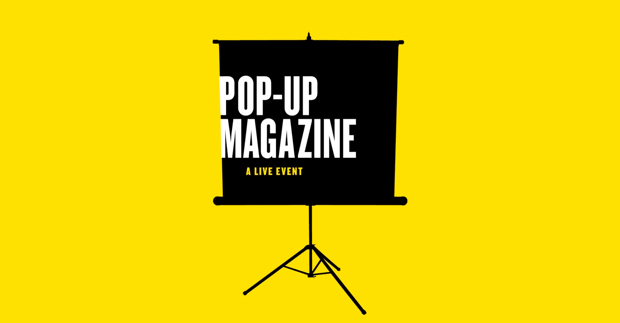 Pop-Up Magazine is the brainchild of journalist (and recent Fast Company contributor) Douglas McGray and several of his friends (including Evan Ratliff, who leads the experiment in digital longform journalism, The Atavist). McGray and company got to wondering what it would be like to produce a “magazine” onstage. It had to be more than just another literary variety show. And it would take the magazine concept as literally as possible–a “table of contents” for a program; front-of-the-book style opening acts with a light, even sometimes servicey, feel; followed by a “feature well” of slightly longer narrative acts, punctuated occasionally by images, recordings, and videos that break up the storytelling like a nice two-page photographic spread. 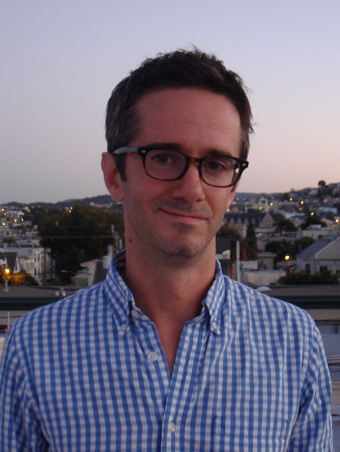 McGray, himself a prominent magazine writer based in San Francisco, looped in a number of top journalists, filmmakers, and producers, and the first Pop-Up Magazine, “Issue No. 1” debuted on April 22, 2009, at the Brava Theater in San Francisco. It was a low-budget affair, running on a $2,000 dollar loan from McGray’s bank account. McGray, who has no background in theater or performance, per se, tells Fast Company that it almost didn’t occur to him until it was time to get on stage that he would be going on stage, meaning his “knees were knocking together” for his first performance. But the evening was a great hit. For subsequent “issues” (which go up every six months or so), McGray’s team had to move to a 950-person theater. Tickets began to sell out the day they were announced; and the team plans to stage their next San Francisco show in the 3,200-seat opera house. “What kind of literary event sells out as quicklky as an Arcade Fire concert?” asked 7×7 Magazine. While Pop-Up Magazine was taking off in the Bay Area, Gary Belsky, in New York, was paying attention. Belsky is the editor of ESPN: The Magazine, and he got a call from a friend in San Francisco who said Belsky just had to come out and see Pop-Up. But Belsky was never able to make the timing work, and he couldn’t see a recording, since “issues” of Pop-Up are not recorded–“they’re meant to be ephemeral,” says McGray. So, Belsky says now, half-joking, he decided that if he couldn’t see a Pop-Up in San Francisco, he would just have to bring one to New York. After one phone call and one meeting, Belsky and McGray agreed to collaborate on a special mash-up issue of Pop-Up/ESPN, to be held in New York. What will go up on Wednesday–they’re calling it “The Live Issue”–is thus something in between an issue of Pop-Up and an issue of ESPN. “It sits in between issue 4 and 5,” of Pop-Up, says McGray. So what does this collaboration mean for the magazine business? A few things. For ESPN, it’s an ambitious experiment, a way to build its rolodex, and a way to alter or add to its brand image. To magazine enthusiasts, ESPN emerges looking very good from an event like this. “That’s what ESPN should be doing, help develop interesting media and content ideas,” says Belsky. “Fundamentally ESPN: The Magazine wants to be a mainstream magazine that also dabbles in the experimental.” And Belsky, ever on the hunt for new creative talent for the pages of his dead-tree editions, says that the Pop-Up event “broadens our reach into a team of writers and creative people in one fell swoop.” Lastly, since ESPN is about to move from New York to Bristol, CT, the issue is “a great going-away gift to the city of New York,” says Belsky. For Pop-Up, the event also means many things. It’s a way to gain a foothold in New York, with an eye toward a possible bi-coastal presence in the future. It’s also, simply, a business proposition. ESPN is footing the bill, paying the evening’s contributors as they would pay any freelancers, plus paying a fee to McGray and his team for producing the event. All of which suggests what the event might mean for magazine publishing as a whole. If Wednesday is a success (and it looks to be; the tickets have all but sold out), other magazines might take note. How about a Vogue/Pop-Up mash-up? A collaboration with a great regional, like Texas Monthly? Or an evening of storytelling on business innovation, even, with Fast Company? “I think the Pop-Up folks could bring the live experience to any subject matter,” says Belsky. As it happens, though, this may not be where McGray’s main interest lies. Even if he’s built a potentially vibrant business, Pop-Up was never about bringing in more cash, or even about attempting to revitalize a business–publishing–that many have noted is somewhat imperiled. “I would not call it a reaction to some of the stresses on the media business,” says McGray. “It was really an idealistic venture, honestly.” McGray wanted to know why filmmakers, photographers, and scribblers didn’t get together more–he’ll often go years between meeting the people who photograph his own magazine features. And he was honestly curious to see if a magazine could be, in a way, performed.